South Africa is building the world’s largest radio telescope – the Square Kilometer Array (SKA). But once it is operational, the real work begins: the immense streams of data gathered from across the universe will have to be processed. Is this where young techies could come in? Down in the dusty Karoo desert, South Africa is building the biggest and most powerful radio telescope in the world: SKA. It’s an international and pan-African initiative; there are telescopes in Australia and it’s expanding to Botswana, Ghana, Kenya, Madagascar, Mauritius, Mozambique, Namibia and Zambia. The size of the field of telescopes combined with its ability to work over a wide range of frequencies means the combined telescope will be 50 times more sensitive and 10,000 times faster than anything we’ve ever used before. SKA will be powerful enough to detect radio waves from objects perhaps billions of light years away from Earth. South Africa’s space scientists have been studying the heavens with African-based technology for decades – earlier this year the SALT telescope (also built out in the Kalahari) helped world scientists observe and record what was possibly the most explosive supernova in human history. 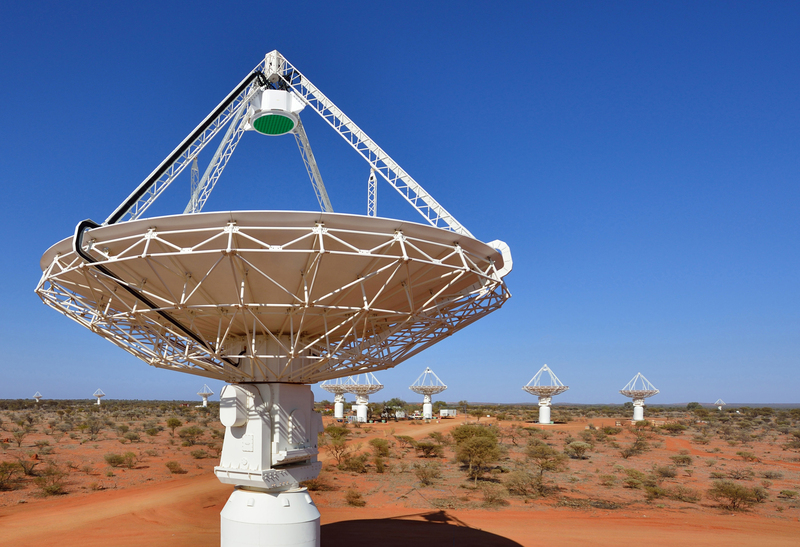 SKA will be incorporating 64 dishes the country already had built as part of the MeerKAT array and adding another 133 telescopes 15 meters in diameter. SKA will be powerful enough to detect radio waves from objects perhaps billions of light years away from Earth. Astrophysicists talk about it being like ‘listening to the symphony of the stars’. Everything in the night sky emits light but with rudimentary technology we can only see a small part of it; it’s like only listening to the violin section in the orchestra, but with the SKA we’ll be able to see and hear the full symphony. Impressive certainly, but how will it succeed practically? Telescopes need power and high-speed internet if they’re going to work at all… two things that Africa and South Africa in particularly struggle to secure. Then there’s the people power (the local scientific and technological capacity to work on the telescope once it’s up and running). Again, even though local government is developing skills in this sector, South Africa’s education sector is lagging. The harsh truth is that South Africa’s dearth of data scientists and physicists threatens its ambitions in this space race. DEDaT wants to incubate that talent and grow a local youth culture able to handle the rigours of processing the data the SKA will be producing. Local government however is thinking outside of the box to find solutions. South Africa clearly has many tech-savvy young people able to come up with innovative, tailor-made solutions to problems in their developing-world environment. What if there was a way to channel this talent and brainpower into finding answers to these issues? 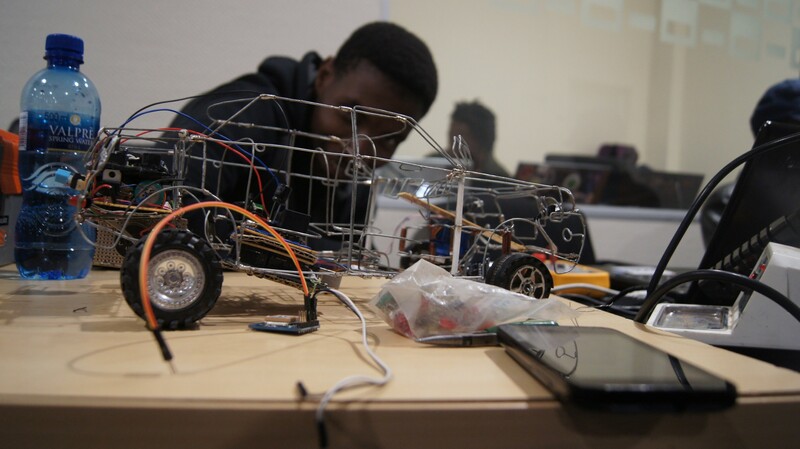 Enter, Geekulcha: a youth cooperative that combines the country’s most talented, creative and ambitious IT minds and challenges them to come up with ways to share their knowledge with industry leaders through multiple avenues, including hackathons. Partnering with the Northern Cape Department of Economic Development and Tourism (DEDaT), Geekulcha is tackling the issue of how to process the enormous amount of data that’s going to be mined through the SKA telescopes and finding out how useful all that information is going to be. They are asking questions like, for example: how that data can be channeled into local technology? And what use will it have in benefitting the local science and technology sector? DEDaT feels it’s critically important to identify untapped potential among South Africa’s hackers. DEDaT wants to incubate that talent and grow a local youth culture able to handle the rigours of processing the data the SKA will be producing. So together the two groups are hosting the first SKA-themed hackathon – SKAHack – aimed at simultaneously unearthing innovation, boosting skills capacity and building ‘SKA knowledge’ among the country’s youth. This sounds like it’s a lot to accomplish with one hackathon, in truth in will be one in a series of initiatives developing skills among the local youth for this project. Geekulcha, too, is already old hat at hackathons like this one – from its Random Hacks of Kindness events, hosted twice a year and involving groups from around the world ‘hacking for social good’, to its ‘Make Life Easy’ hackathon that looks for solutions to improve the lives of ordinary people. Really the initiative is virtually brimming with young geeks with ambitiously creative tech minds who are looking for extreme challenges and a chance to do some serious social good. Experts estimate that the data collected from the SKA on a single day would take nearly two million years to playback on an iPod. And these local data scientists-in-training will certainly be challenged – experts estimate that the data collected from the SKA on a single day would take nearly two million years to playback on an iPod, it will use enough fibre optic wire to wrap twice around the earth and the SKA dishes will produce more than 10 times the global internet traffic. Knowing how to process and apply all that glorious data streaming in from the farthest reaches of our universe will be the critical lynchpin in how much South Africa really weighs its benefits from this venture in the long run – as Geekulcha’s COO Tiyani Nghonyama says, ‘it’s not just about what you learn, it’s how you use’. The SKAHack will take place from 12-13 March 2016 at the Galeshewe SMME Village in Kimberly, Northern Cape, South Africa.